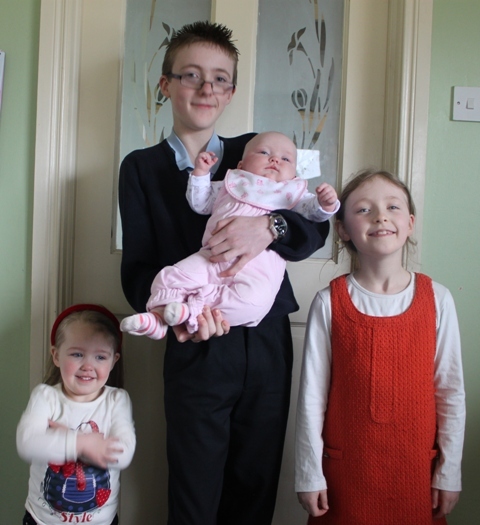 This week has gone by in a bit of a blur, we had James’ Confirmation on Thursday just gone so the middle to end of the week was taken up with preparations for that. He had a wonderful day. I’m still working up to a recipe Saturday but these days seem so busy of late that some weeks just go by in a blur. Knitting time this week has been sketchy. 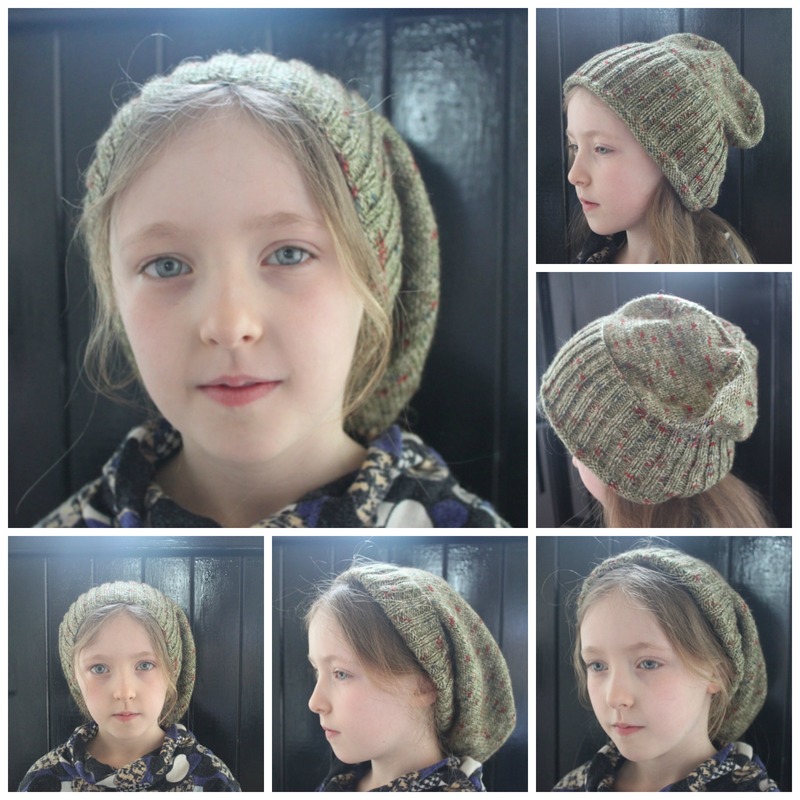 I finished up the Basic Beanie for my Mum last night and got Caoimhe to model it this morning. I made the slouchy version of this hat and it’s knit in Stylecraft Life DK Yarn on a 4mm needle. I love how this hat can be worn many different ways and by just the amount of brim you do or don’t turn up will give you a different take on slouchy. Caoimhe loves this one as she can tuck her hair into it lol. I started another dishcloth and although it’s a quick easy pattern I am 2/3 of the way done with it but have just not got back to it so the aim this week is to finish it and perhaps another! Well nothing like a bit of ambition. 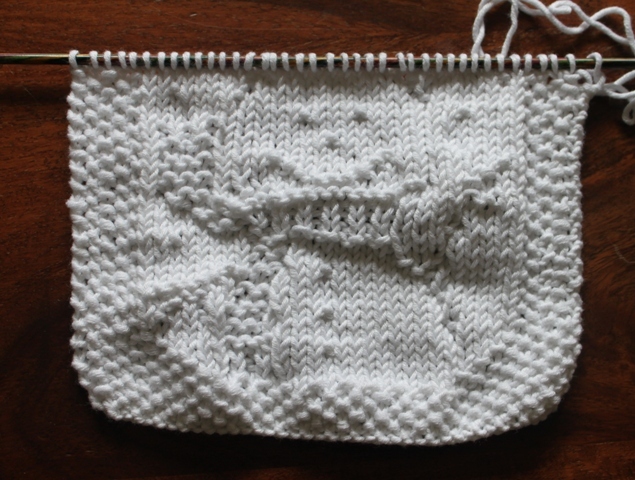 This is the Snowbaby pattern and I’m knitting it in King Cole Bamboo Cotton on a 3.5mm needle. For cloths I go down a size of needle for a tighter gauge. This helps with this pattern also as it stands out a bit more. With the beanie done I’m going to finish off the Stormy Sky sock and press on with some cloths. I need to see what else is left on the list that needs to be tackled and sort out its yarn and needles. 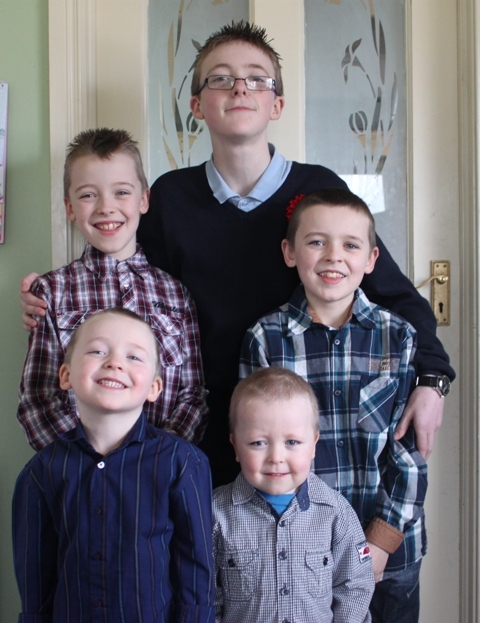 I have some confirmation pictures this week and I got one of all the children together and mainly looking at the camera lol. All of the children together. This entry was posted in Knitting, Year of projects and tagged Basic Beanie, Snowbaby Cloth. Bookmark the permalink. What a beautiful family you have! I adore that hat too, if I was your girl I’d be asking for one of my own, it really suits her 🙂 And yes, nothing like a bit of ambition. Oh Ruth what a beautiful family you have. You must be so proud. Love seeing the pic of you and your husband. Great hat. 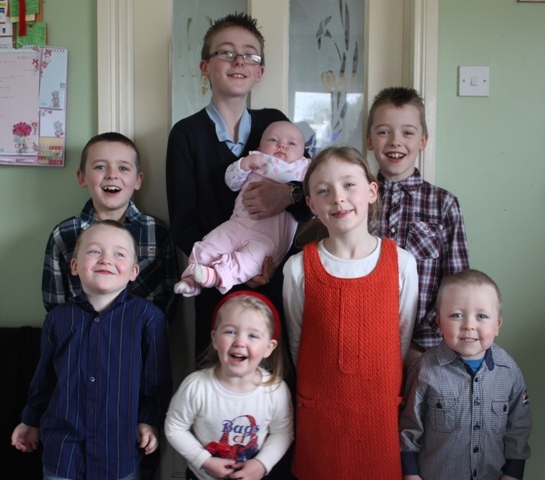 Just love the picture of all the kids together – they all look so happy and carefree! The slouchy beanie looks great on Caiohme … don’t you think she needs one for herself?! OH! I missed your birthday even! I hope it was a good one and I’ll spend the next week catching up for sure but I had to see what you’ve been up to! LOL! I’m so glad it’s not just me….Spring is busy, financially draining and my workload doubles and the storms keep me hopping! The hat for your Mother turned out gorgeous! I order from Deramores occassionally and I love that yarn and the hat pattern because I wear my hair “up” and I could actually fit it in that hat. Your daughter looks lovely in it…I’m thinking you may have to make one for her….you know, to pay her modeling fees. (Tee Hee). It really does look gorgeous on her. 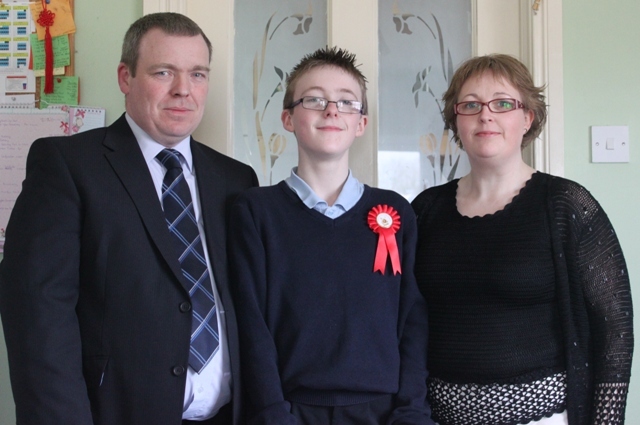 Congratulations to your son on his confirmation. I remember mine so many years ago….it was a big day! I saved the best for last…..what beautiful pictures of your whole family! And of course we know where they got their good looks from…..Mom and Dad! They are all just beautiful and it’s true….there are no prettier eyes than “when Irish eyes are smiling”! 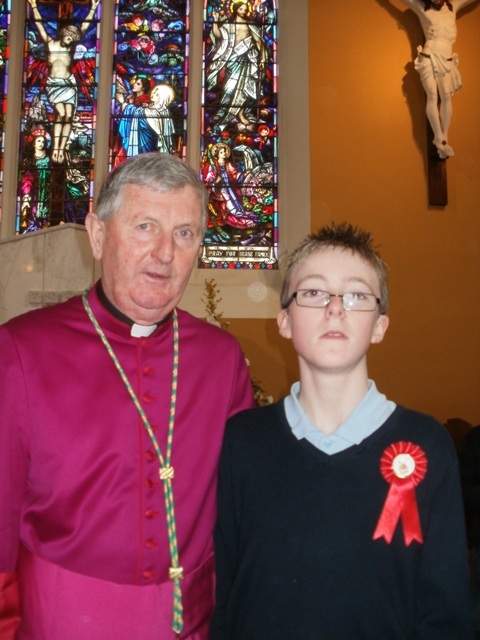 It must have been a big day for you too for your first born to have his confirmation. Congratulations to Mom and Dad too and the whole family! Thanks so much for sharing it with us! Cute picture of the kiddo’s…always forget how many you have. Love the beanie…great way to put the hair in the back like that. How wonderful for James and your family! I remember my confirmation, it was a milestone in my life. Can I ask his chosen name? It is a tradition in my family to take Francis as our name…yup, every generation and future generations will all take Francis..Everyone looks so happy, with big smiles…Tell James all your “virtual” friends are very proud..also..our confirmation ended our formal religious education..so we were really happy! Your ohana is so beautiful. Great genes from you and your husband! I love the big band of your mum’s beanie. The hat, looks great, it really suits Caoimhe, think you might have to make her one! And you have a lovely family, well done for getting them all to look at once! Love the yarn you used for the hat. Such a beautiful family too! Congratulations!